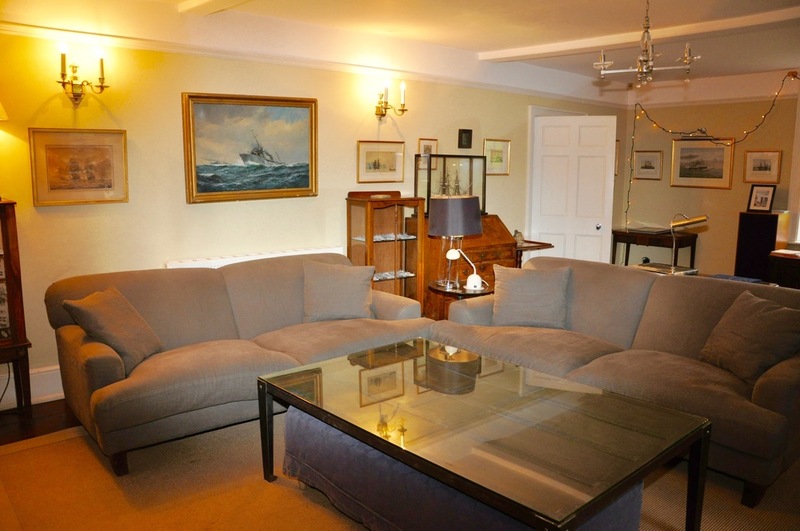 Traditional Georgian country house in East Lavant, perfect for Goodwood with swimming pool and tennis court. 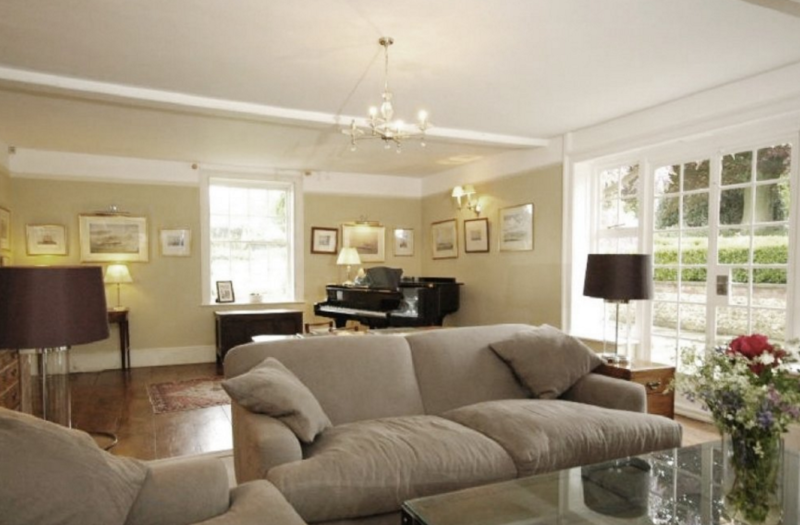 This delightful Georgian family country house is offered as luxury holiday rental accommodation for reunions and celebrations as well as being located close to major events, creating a desirable and welcoming place to stay for up to 12 guests. On the ground floor there is a porch leading into the hall. Two living rooms lead from the hall; the first is the music room with double doors leading out onto the south facing patio. The second TV room is filled with books and videos. Both have working fireplaces. 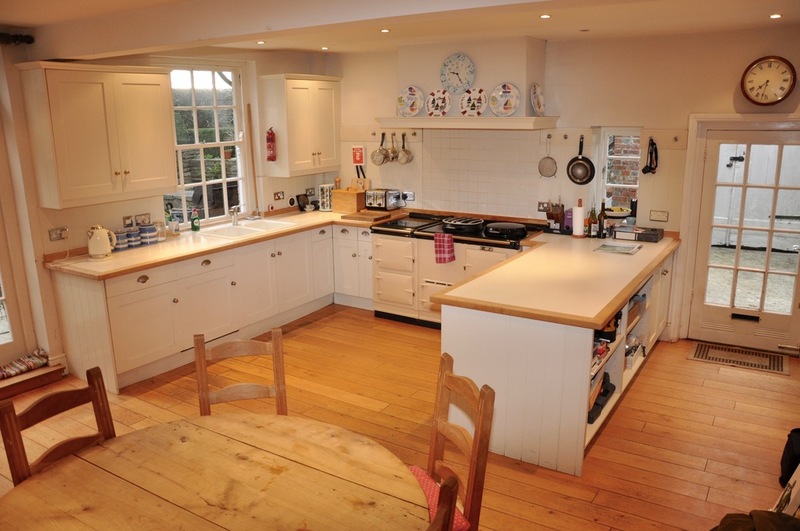 The dining room and kitchen are located at the back of the house with separate access to the patio. 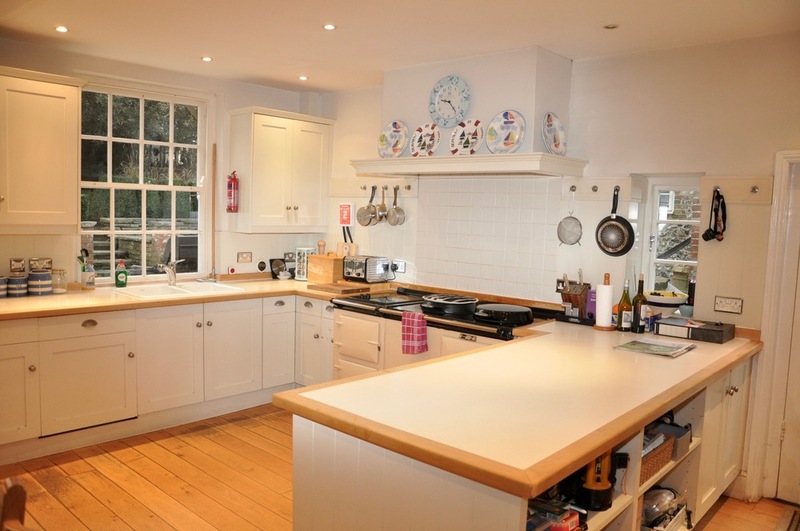 Within the kitchen there is a breakfast table, fridge/freezer, oven and microwave. There is also a larder, BBQ and outdoor seating area. 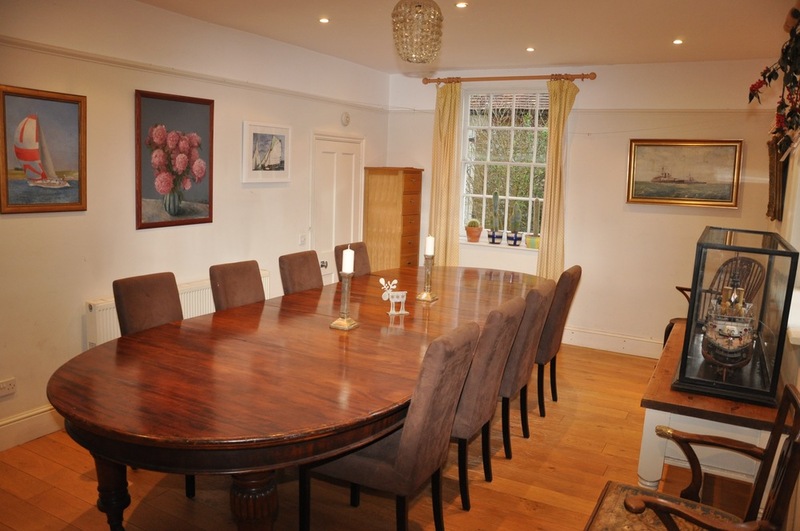 The dining room table can seat up to 12 people. At the very back of the property, again with separate access, is a downstairs toilet, shoe room and wash room with washing machine and dryer. This can also double up as a dog room. 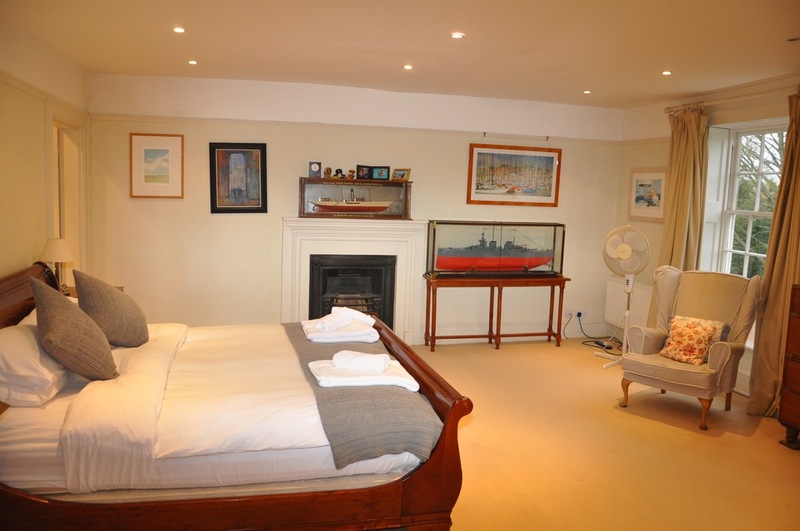 Upstairs there is the master bedroom with en-suite. 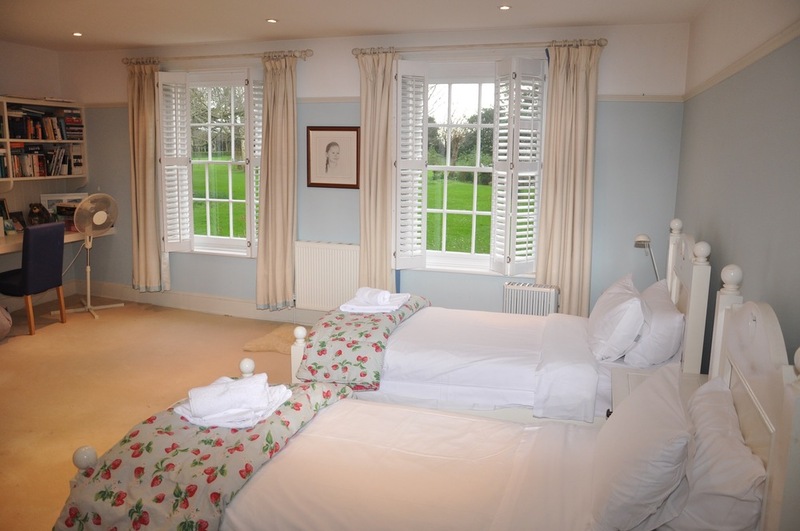 The room features two French windows overlooking the rolling garden, a walk in wardrobe, a king size bed and a bathroom with shower and bath. 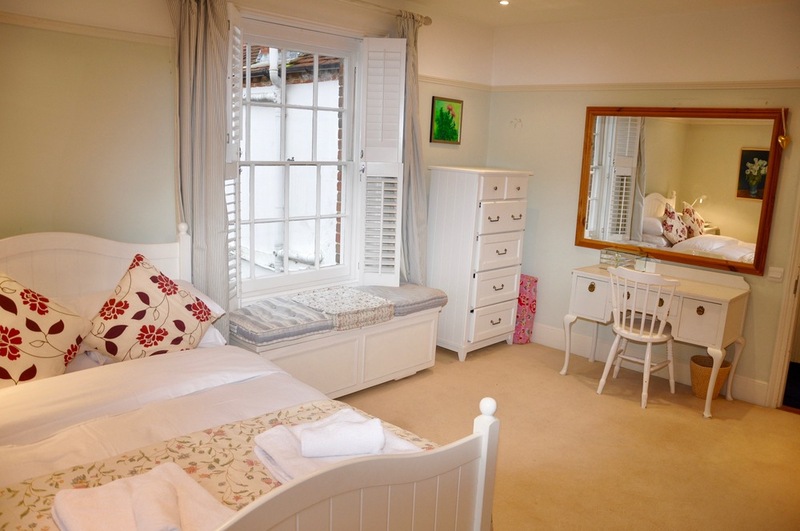 There are three double bedrooms and one twin room all with windows overlooking the garden. 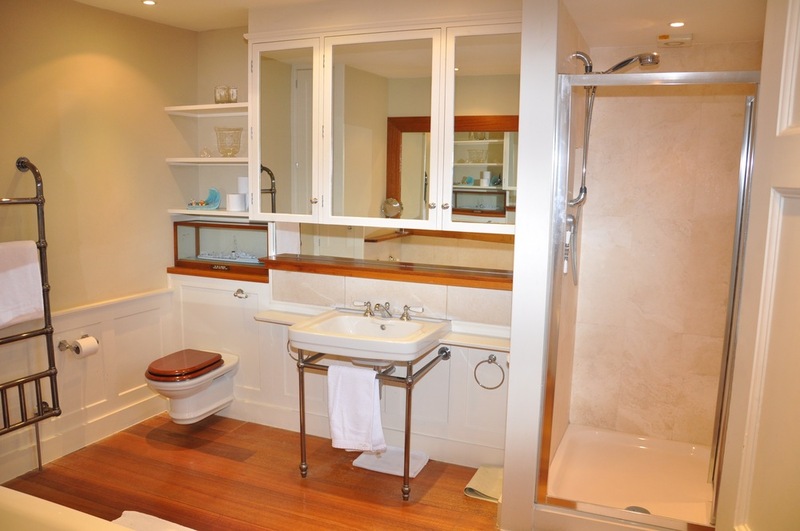 These rooms share two bathrooms one with a shower, the other with a bath. All bedrooms have shutters and blinds. 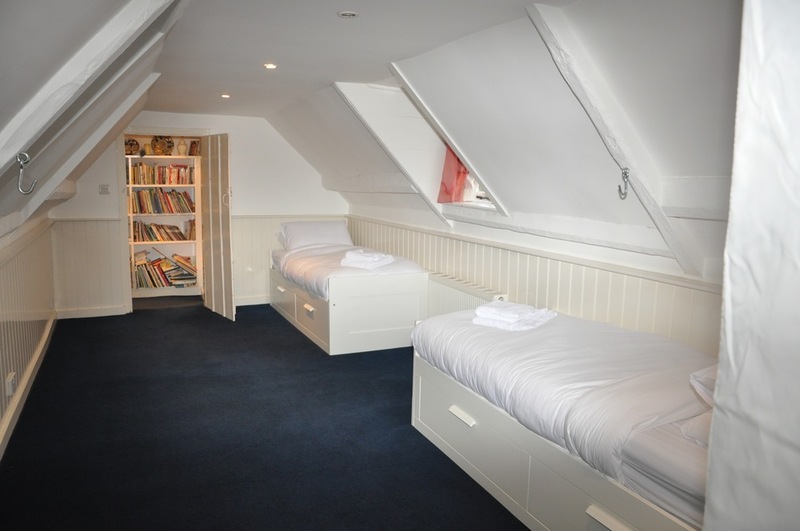 In the attic is a self-contained flat with living space, a children's bedroom with two single beds and a bathroom. The windows are small and the ceiling is sloped but there is plenty of space. 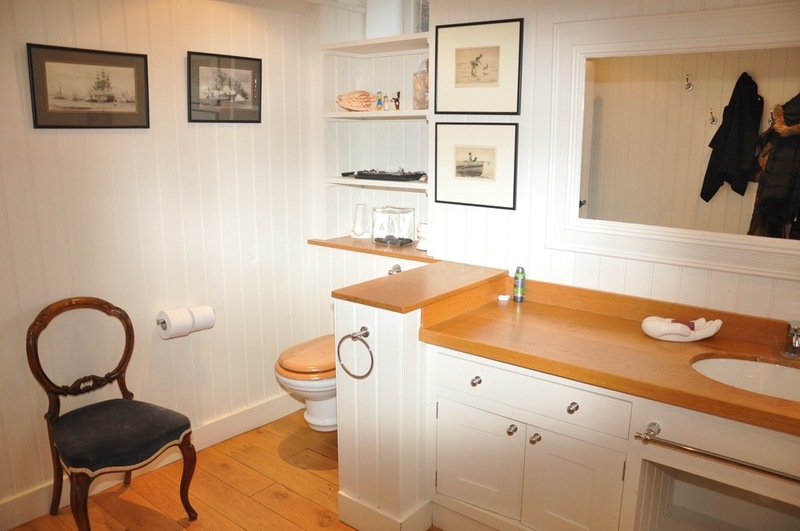 Alternatively the attic can be used as an extra bedroom. 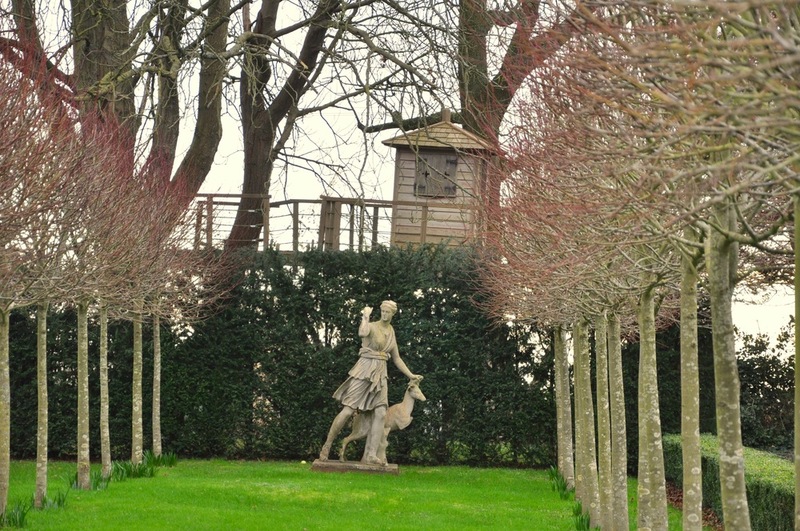 The garden is well kept and adds to the charm of the beautiful house. 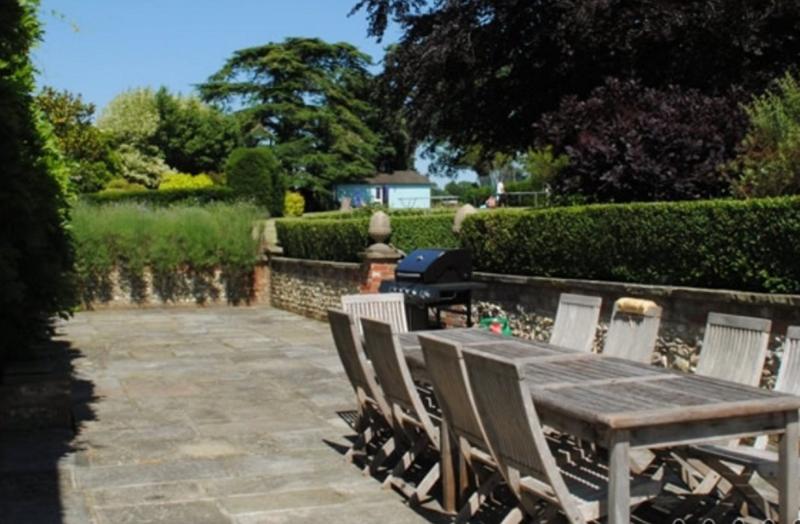 There is a paved patio area alongside the house with table and chairs, great for sitting outside in the summer months and admiring the vegetable patch with fresh fruit and vegetables and the walled garden. 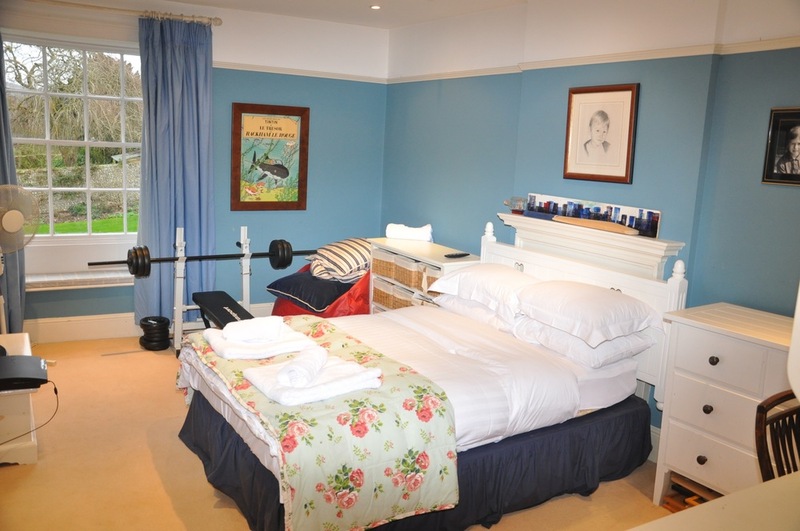 There is also a full sized tennis court, football goal nets, table tennis, pool table and heated swimming pool.The outdoor pool is heated throughout the summer months (June to September) and has its own separate toilet, shower and changing room. Sun loungers and deck chairs are also provided. 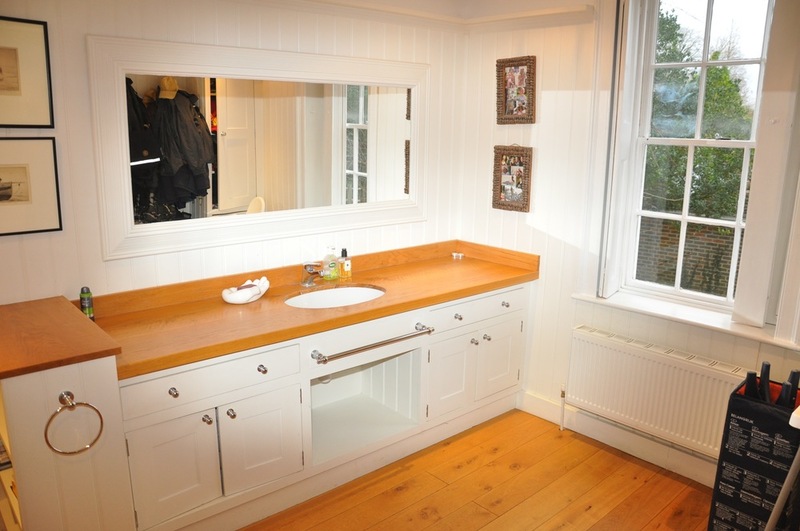 Located in East Lavant, West Sussex, a small village just south of the South Downs. The village has a village green, church and river. Located on the parallel road to the property is the Royal Oak Pub. Not only has it won numerous awards for food and drink, it has been voted the best pub in West Sussex. Breakfasts are also available there everyday. 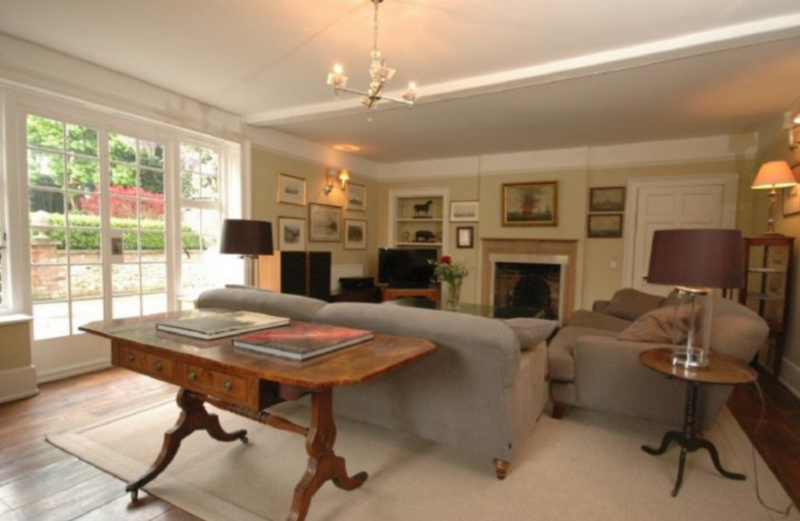 East Lavant is less than 2 miles from Goodwood Motor Race Course and GoodWood Horse Racing Course. This makes it an ideal property for those looking for somewhere to stay during the Horse Races, Festival of Speed or the Revival. East Lavant is located 2 miles from Chichester. Chichester is a small Cathedral City with plenty of shops and restaurants. 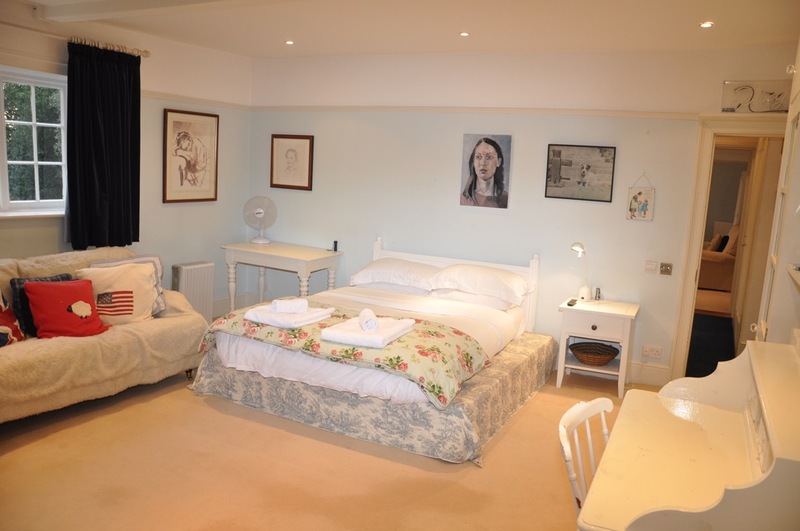 There are also a number of galleries, the Chichester Festival Theatre and two cinemas. West Wittering Beach is about a twenty minute drive. The beach is popular during the summer months with 4 miles of sand stretching along the coast. Portsmouth (15 miles) provides a number of large shopping centres including the Cascades and Gunwharf. Gunwharf is popular for restaurants, shops and bars. There is also a funfair on the pier, pebbled beaches and many other seaside attractions. It is also possible to get the ferry/hovercraft to the Isle of Wight for the day. Brighton (30 miles) is the second nearest large city. Contact Stays to Remember for the latest availability and pricing information. Price per night based on mid season rates, prices will be higher at peak season and price per night may vary based on number of nights booked. 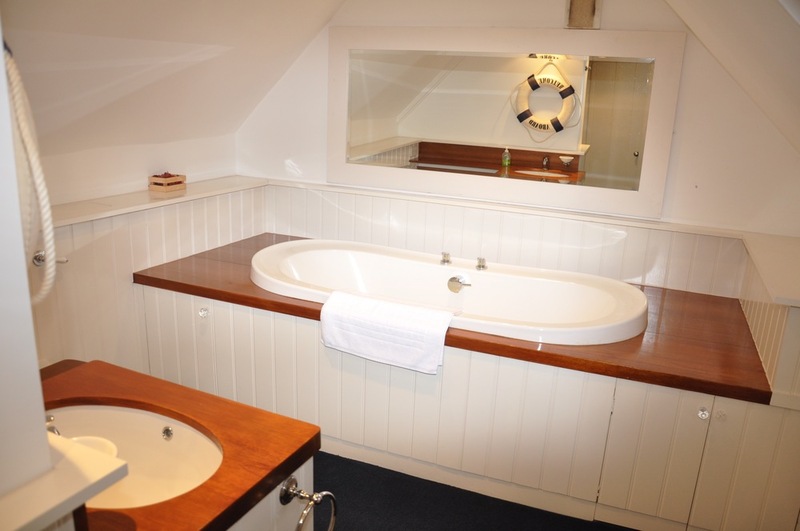 Prices from £1,100 per night for short stays.